The ARK Performance GT-S lowering springs offer a clean drop and enhanced performance. With the ARK GT-S lowering springs installed on your 2008-2011 Infiniti G37, you will experience a significant decrease in body roll, and in increase in cornering grip and steering response. Specifically designed for your car, you will have a lower center of gravity while still maintaining the smooth and comfortable ride you expect from your G37. 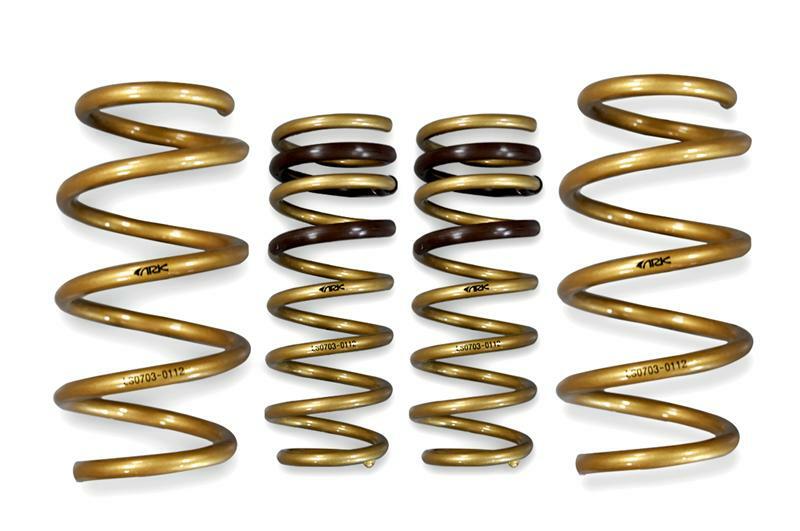 The GT-S springs have a more aggressive spring rate, and a lower drop versus the ARK GT-F springs. Why Should I Buy Lowering Springs??? Every car from the factory comes with a large gap in between the tire and the fender. Lowering springs will reduce or eliminate this gap giving you a custom and flush looking fitment. Aftermarket springs are commonly used to lower the ride height and to reduce body roll. This is also often done when upgrading to a larger wheel and tire package. Generally speaking, the stiffer the spring rates (the amount of resistance a spring is set for against compression), the softer the sway bar setting can be set in order to achieve a similarly flat cornering response. Questions about the ARK GT-S Lowering Springs for the 2008-2011 Infiniti G37? Our Modification Experts are standing by and available to help you, online or by calling 714-582-3330.